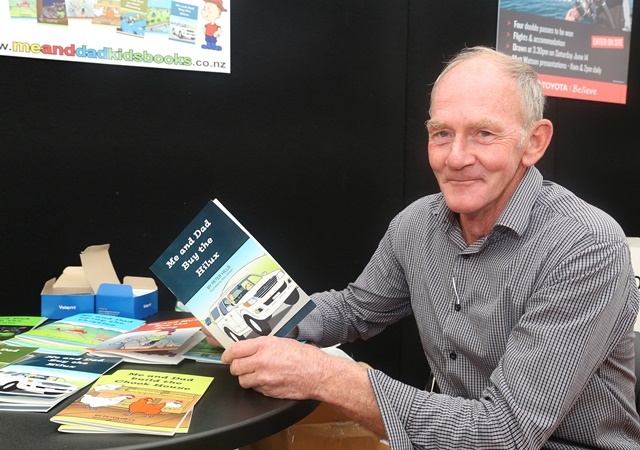 ‘Me and Dad’ kids books have been handed out to children at Fieldays to encourage them to read. He sent his ideas to children’s author Nikki Slade-Robinson, who thought that Hills’ books should go to publication. Many children’s books available in New Zealand are either set in the UK or US and Hills thought that Kiwi kids should have more locally based stories. Hills uses people in his life to base the stories on and in Me and Mum Buy a Pony he has used his partner’s granddaughter for inspiration. So far Hills hasn’t been making any profit, but doesn’t think it is necessary.